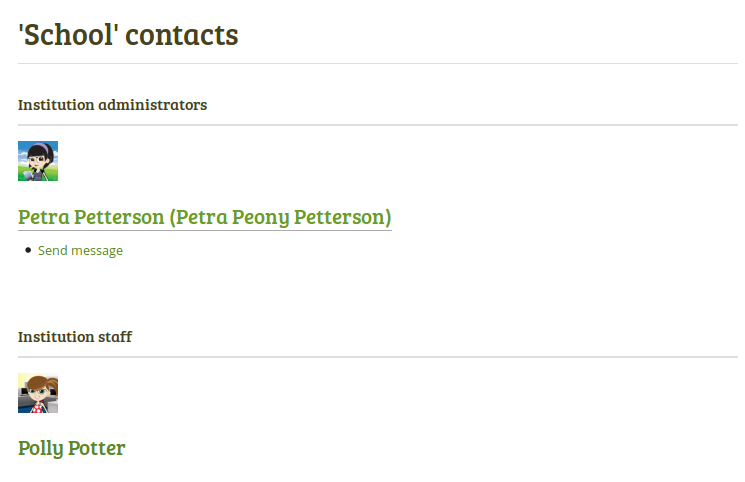 The institution contacts page /institution/index.php is not yet styled in Bootstrap (see attachment). 1. Set up an institution. 2. Add 2 administrators and 2 staff to that institution as well as one regular member. 3. Go to the profile page of the regular member and click the institution's name. Also targeted toe 15.10 because styles are missing.